A girl I went to school with is currently a surrogate, in her 3rd trimester with twin baby girls! Surrogacy is such an amazing thing to be able to do and I love following her story! 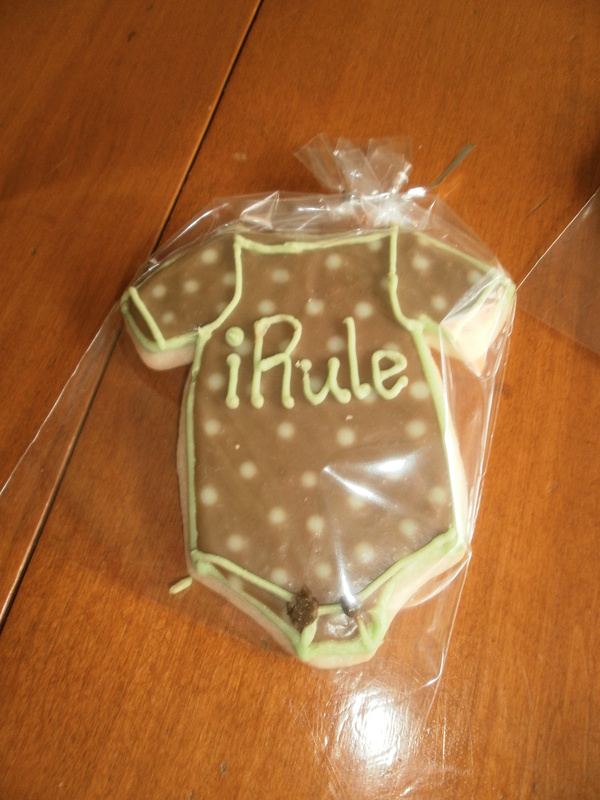 She is throwing a baby shower for the parents of her growing little baby girls, and asked me to make her some cookies. Only thing is they had to be vegan! I have to admit the idea stressed me out to have to find/test a recipe and everything, but they ended up working perfectly and taste AMAZING! The vegan cookie recipe can be found here. The vegan buttercream and vegan icing recipes can be found here. 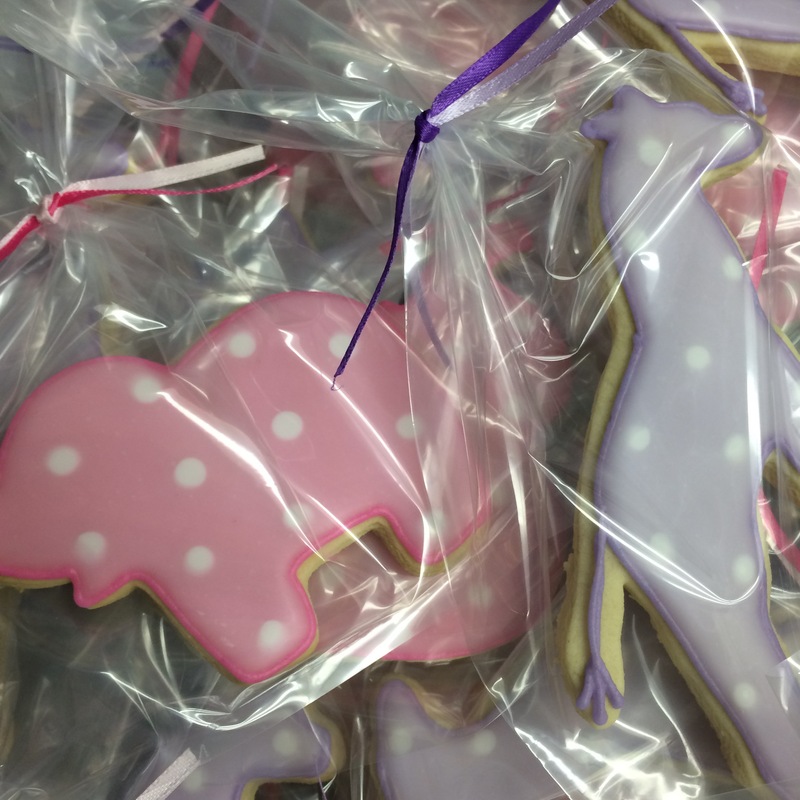 For the shower I made pink elephants and purple giraffes. 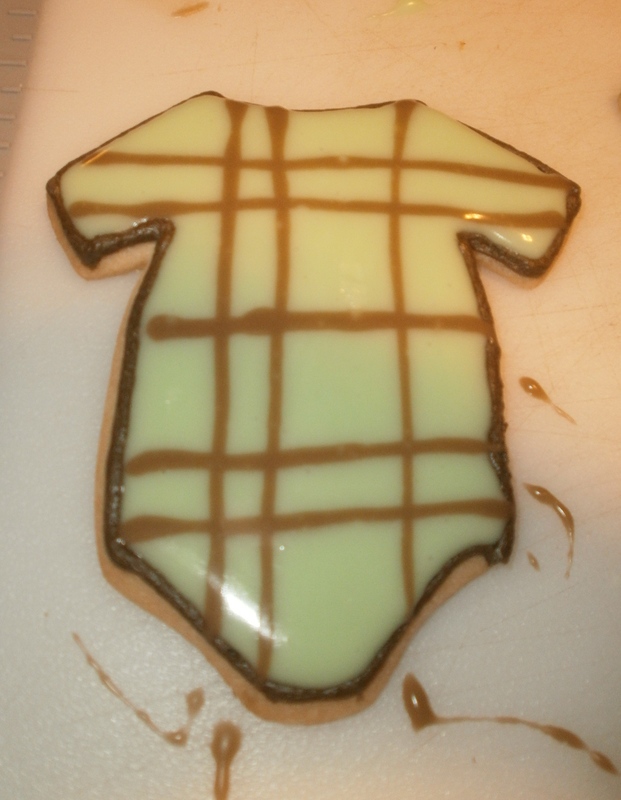 Hope the mama and daddy love them! 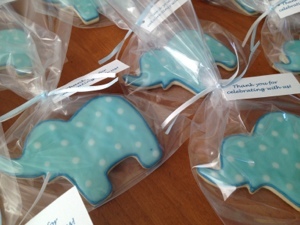 These adorable elephants were for a baby shower! 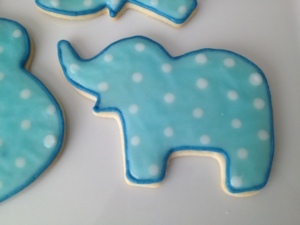 I used the same basic design as the elephants for this circus party, but in boy colors! 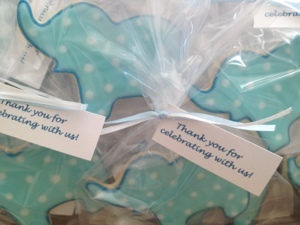 These cookies were made to match the invitations (below) and decor of a little 1 year old’s birthday party – which was held on Thanksgiving day! 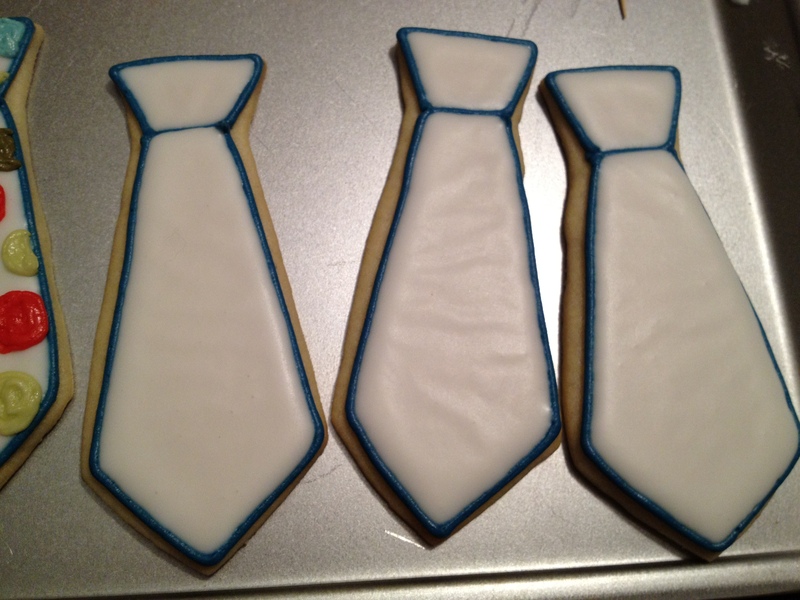 I used a 5″ necktie cookie cutter. Shape wasn’t as great as I would have liked, but I fixed that with the outlining. 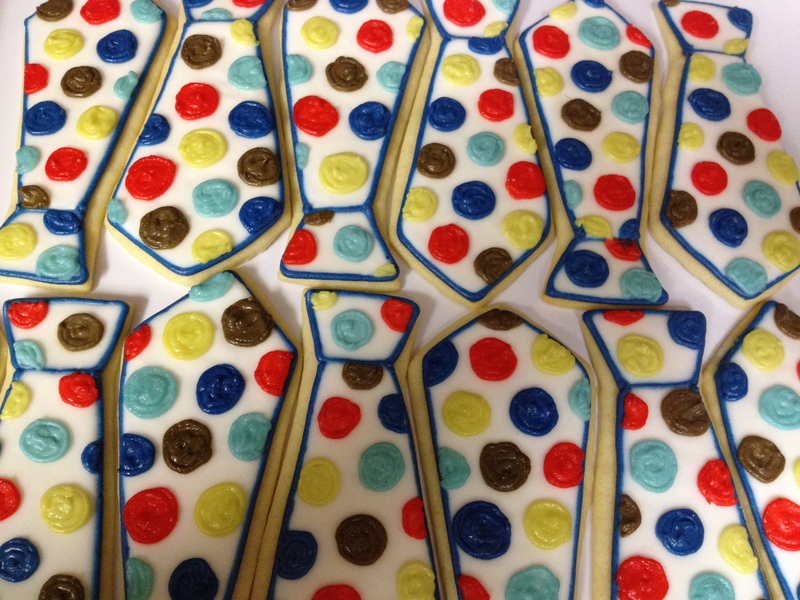 I stressed so much over how to do these large polka dots… I couldn’t do edible pens or candy, because the colors were so specific. 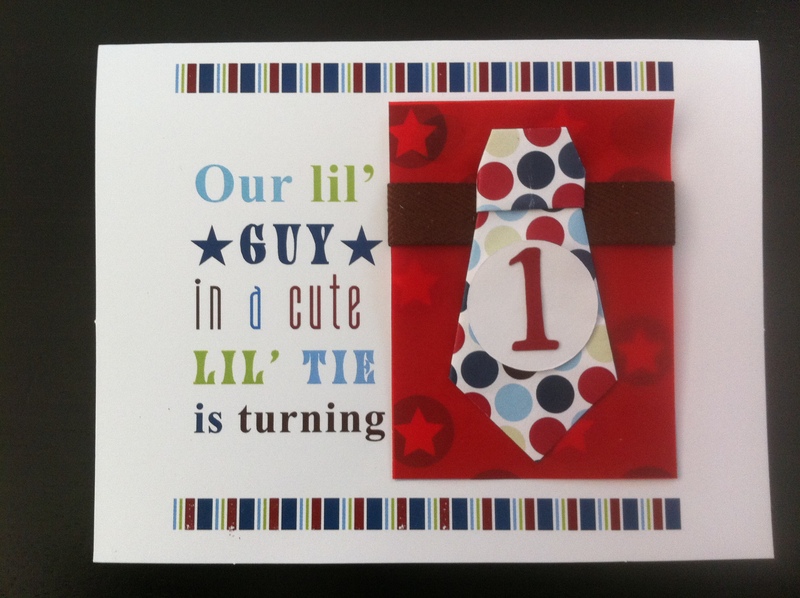 Navy blue, light blue, red, brown, and greenish yellow. 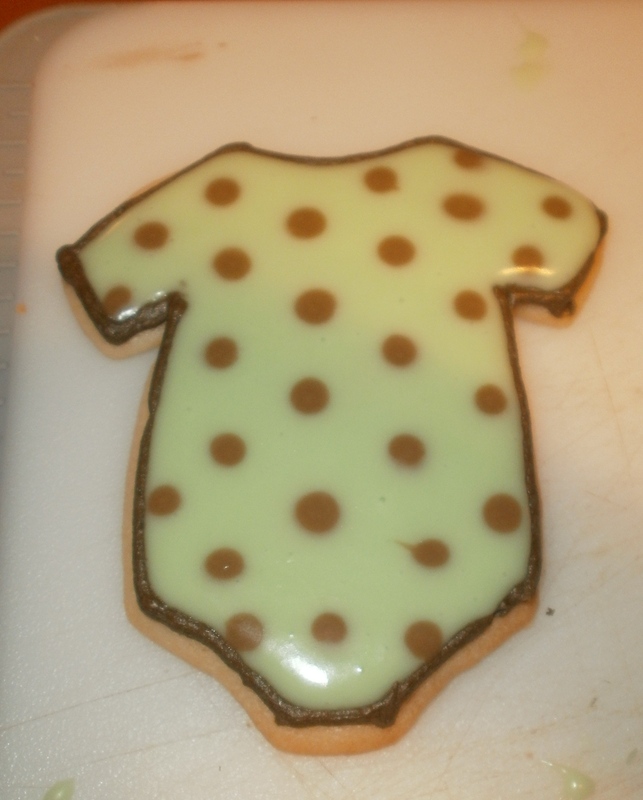 – I would do too much white icing (background) and adding the dots would overflow the cookie. 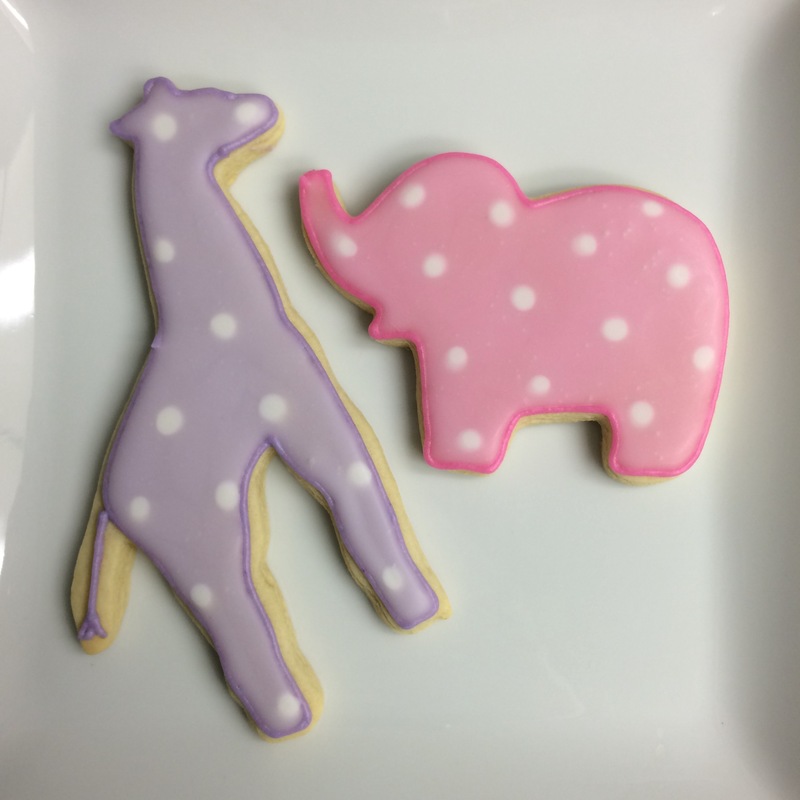 – I would do too little white icing and I wouldn’t be able to fix it after the dots were added. – The dots wouldn’t be uniform in size/shape. 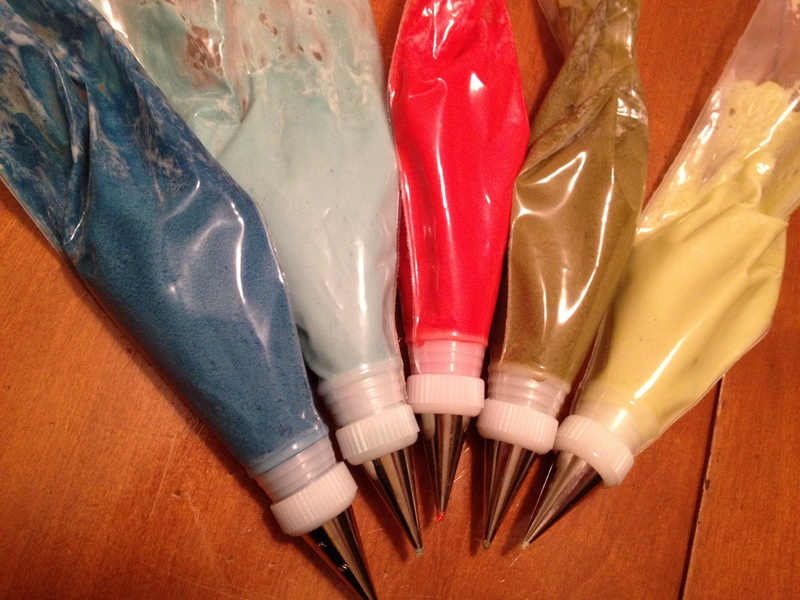 – Coloring buttercream is more difficult. The color deepens over time, so it’s harder to match colors exactly. I ended up going for the very last option. 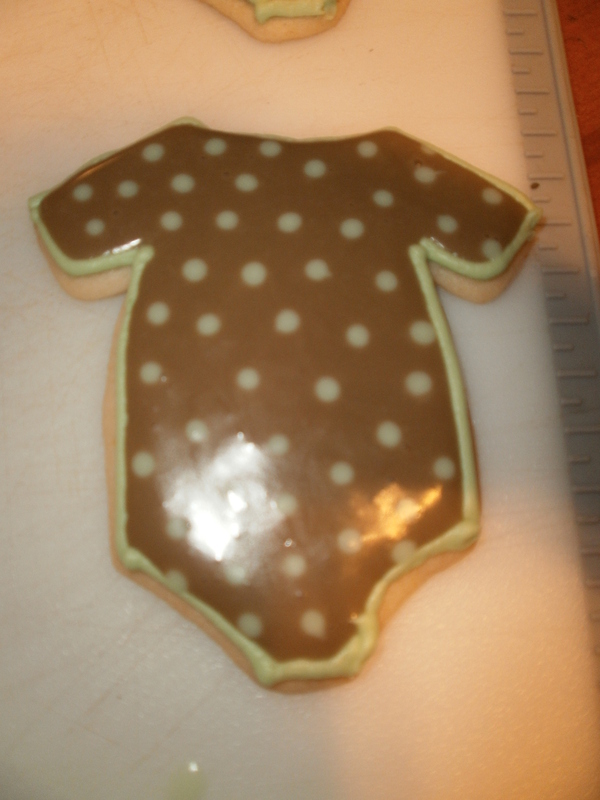 I was worried about the height of the dots if I did it on top, but it ended up working out well. I let the frosting get soft, so when I filled in the dots they “melted” together a bit and looked more like a solid dot than a stripey filled circle. Cute right?! 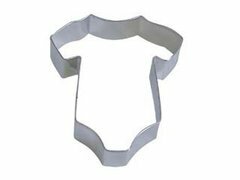 I have a good idea for another use for this cookie cutter… should pop up pretty soon actually! 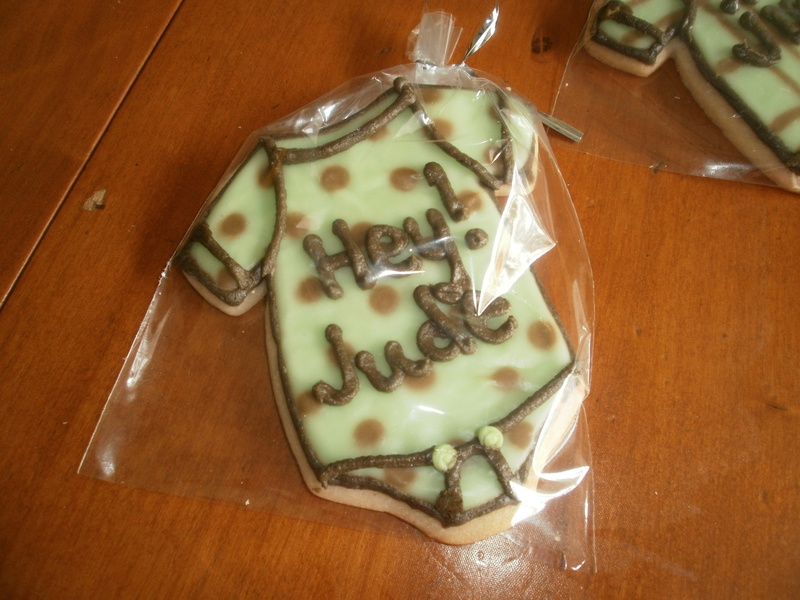 The baby’s name will be Jude Indigo Rule, and the parents are doing everything in green and brown (rather than the traditional blue). I had SUCH a hard time getting my brown to darken. It just looked like tan/orangish. I finally added a little black and it got much better. My buttercream turned out a lot darker than the icing though because I always forget that buttercream darkens after a few hours. Oh well they still looked so cute! There was only 4 so I came up with 4 unique saying to put on them. 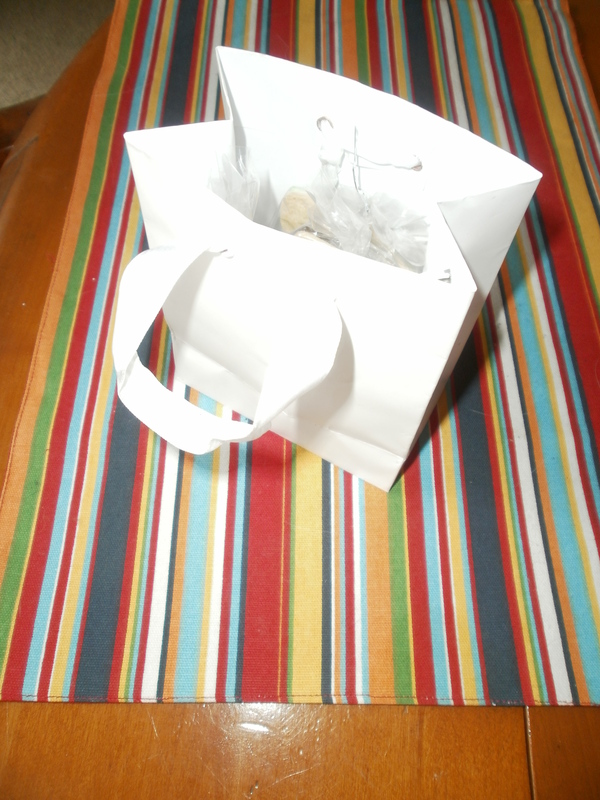 I put all 4 little individual wrapped cookies in a little gift bag. 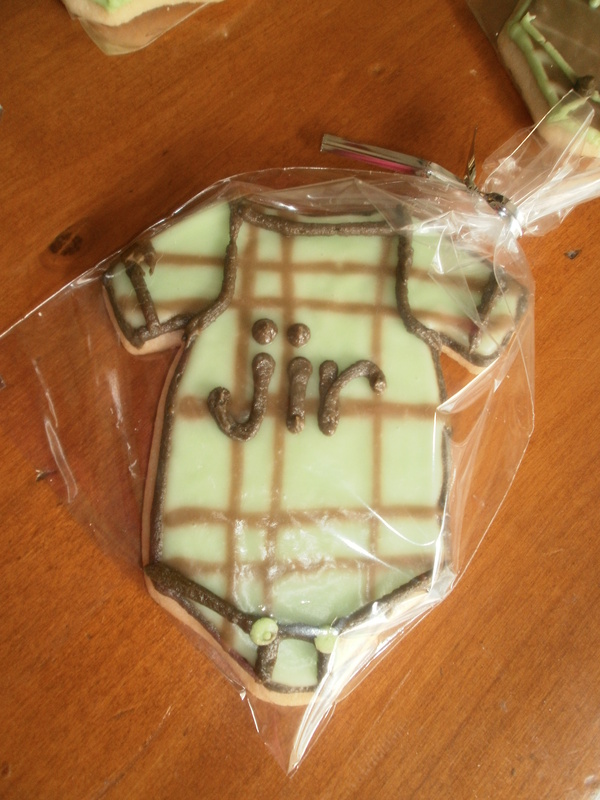 I had planned on tying them to the top of the gift I was bringing, but my treat bags were shorter than I thought. It worked out better anyways cuz other gifts ended up stacked on top of it and they would have gotten broken. And plus it started raining and we had to grab all the gifts and run them to a car. 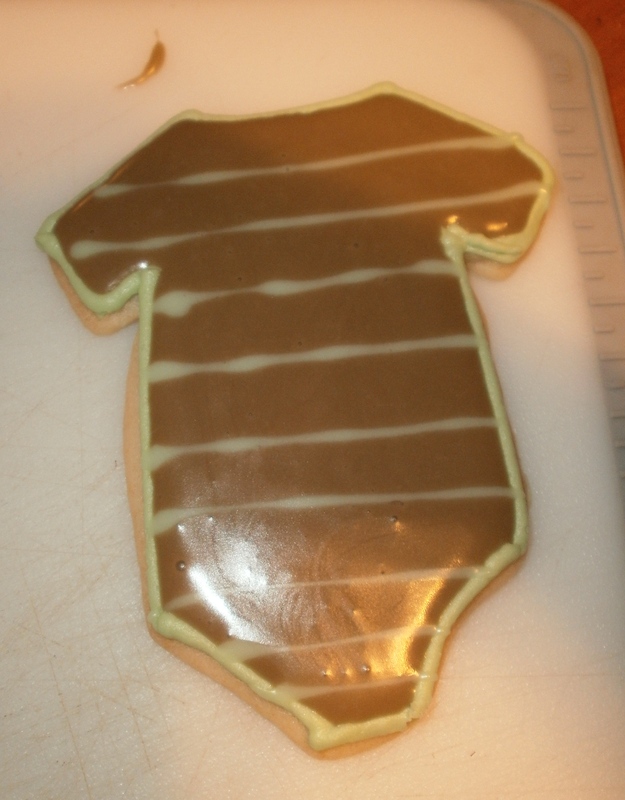 Cookies need protecting! lol. 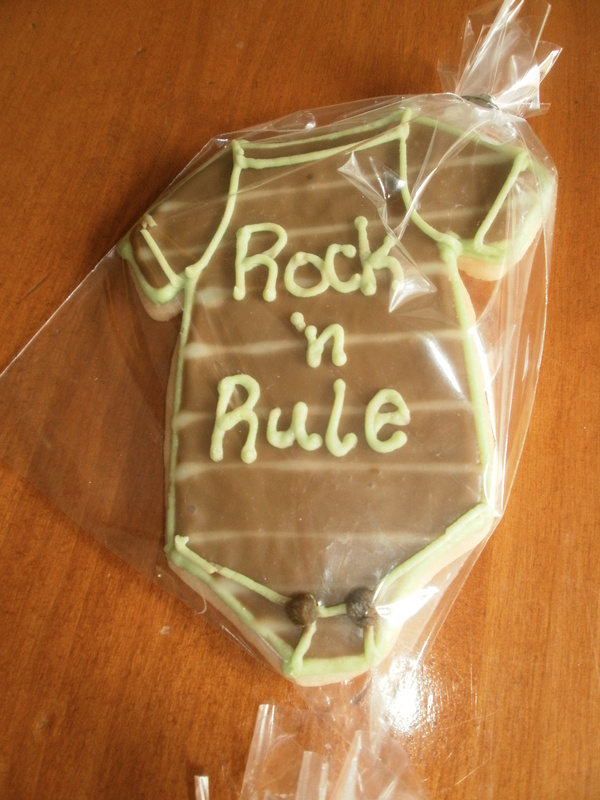 **This is going to be a cookie summer! 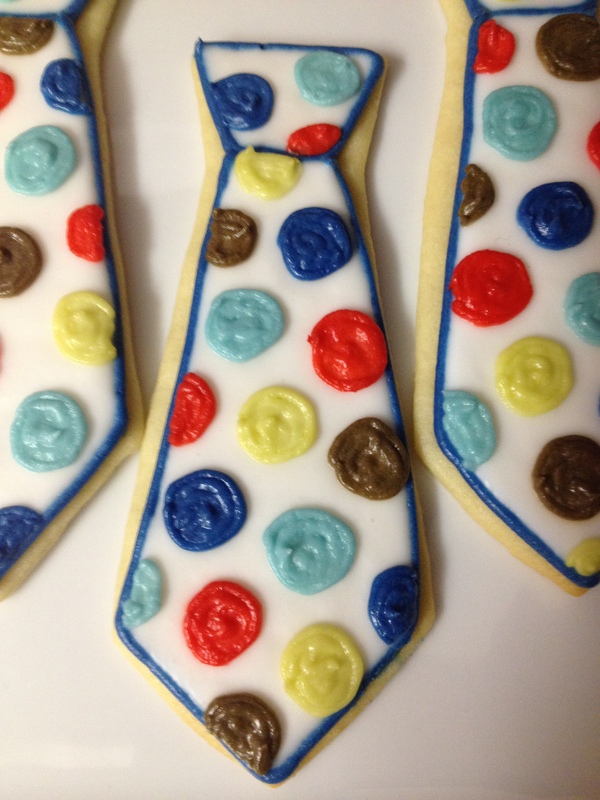 Coming up: graduation cookies for 2 different parties and 2 more baby showers!